A visit to Hilton Head, South Carolina to explore its history and culture. Off the coast of South Carolina, an island with a long and tangled history sits, beckoning vacationers. The weather is great, the scenery is gorgeous, and the locals exude the spirit of southern hospitality. Despite the pleasant present, Hilton Head Island’s story isn’t that of just another beach town that found a way to draw vacationers in droves. It’s a mix of ancient history, European colonialism, the Gullah (Geechee), and the rise of golf and resort tourism. Built in 1969, the Hilton Head lighthouse is a popular , privately-owned landmark on the island. You are what you eat is a literal expression in archeology. Some of the best information we have about ancient cultures has little to do with secret treasures and daring adventures, but everything to do with trash. Nowhere is this truer than Hilton Head Island, where an ancient culture is known for the way they threw out their leftovers. Added to the National Register of Historic Places in 1974, Green’s Shell Enclosure is a unique ring of shells created by the ancestors of the Catawba people. One of approximately 20 shell middens in South Carolina, it was built 600-2200 years ago. Green’s Shell Enclosure is a unique place for one main reason: it redefined the time period that archeologists thought shell middens were built in. The majority of structures like this one date from the second millennium BC, and until Green’s was dated, that period is when archeologists assumed all of this type of building took place. In addition to being a giant garbage heap of shells, middens were complex defense structures. You might even mistake Green’s as a relic of the Civil War if you didn’t take a closer look. It’s an unobtrusive wall, about 4 feet high, but its width is impressive – 20-30 feet wide at the base. As one of the few relatively undisturbed shell middens left, this place is historically significant and provides an eye-opening window into the lives of this area’s first inhabitants. 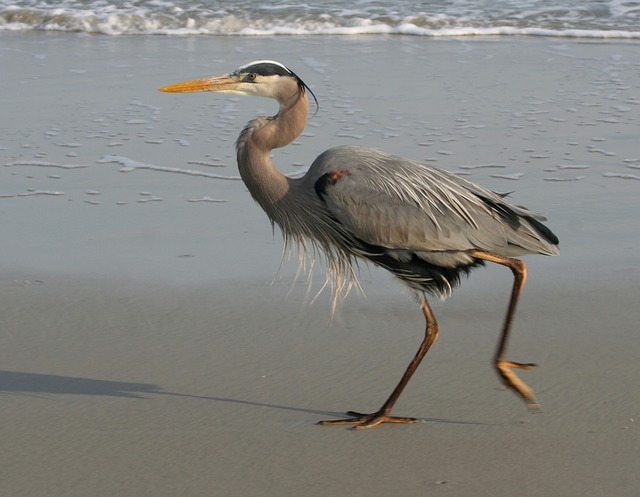 It’s easy to spot blue herons on Hilton Head Island’s beaches. Located in the Sea Pines Forest Preserve, a series of small and captivating trails along the South Carolina coast, the Sea Pines Shell Ring is a small structure that was built 4,000 years ago. Wildlife is abundant today, but just a few years ago, this place was wildly different. The area nearby was used to grow rice, cotton, and indigo, but the ring is still well-preserved and the surrounding boggy forest makes it an enchanting place to visit. Less than 24 inches high, you could miss the ring if you didn’t know what you were looking for, but you’d be missing out on something truly special. Built mostly from oyster shells, a few animal bones, pottery shards, and spear points are also found in this low wall. Although it’s now in the middle of a coastal forest and the water seems far away, when this ring was built, it was located along a tidal inlet. The ring may have been a ceremonial plaza, but archeologists aren’t sure of its purpose. Today, it’s sometimes used as a performance venue, and is a key feature of the Sea Pines Forest Preserve. At Skull Creek, archeologists made a discovery – not all rings stood alone. They found conjoined rings here, made of oyster shells and charcoal, with places where posts once stood dotting the surrounding area. In the ring itself, a piece of a jawbone with two teeth attached was recovered. The site is currently being considered as a potential National Historic Landmark, and yielded more than 900 pottery shards when it was investigated in the late 1960s. After the shell ring and mound builders, Europeans arrived. In 1526, the Spanish stopped by for a quick visit. The French, not to be outdone, arrived the same year. 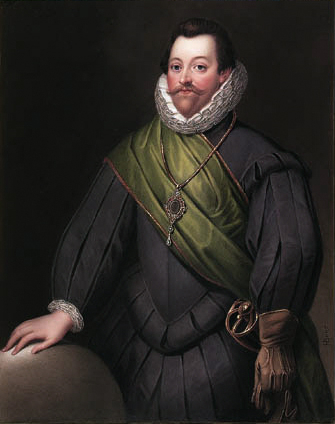 Led by Captain Jean Ribaut, they built a settlement where the modern Port Royal is located. The French and the Spanish couldn’t get along in the 1500s, so by 1566 the Spanish returned and built their own fort in the area. Of course, when the British heard this, Queen Elizabeth I immediately sent Sir Francis Drake to chase away the Spaniards in 1586 (news was slow in those days). Drake was an intimidating figure, so the French and Spanish kept quiet, and nearly 70 years later, under King Charles II’s rule, the Carolinas came into existence. Eight British Lords were given the area to divvy up and enjoy for the King. Don’t let the collar fool you. Drake was the Chuck Norris of his day. And then came Captain William Hilton. In August of 1663 he explored the area around the Port Royal Sounds. Finding it beautiful and being modest (hah! ), he named it after himself. Hilton Head Island was born. Settlement began, albeit slowly, and by the mid-1700s 25 families lived in the area. By 1742, Drake’s reputation had worn off and the Spanish were getting gutsy again, so Captain David Cutler Braddock was sent to guard the cove and point. He did such a fine job that they’ve carried the name “Braddock” ever since. Tired of the Spanish, but equally tired of the British, Hilton Head Island sided against England in the Revolutionary War. The British were miffed at losing such a great vacation destination, not to mention a profitable colony, so they pestered the locals regularly. That may explain, at least partially, why during the “Golden Age” of crops on this island, the land owners lived inland and only visited their coastal estates when they were in the mood for a little R & R.
In 1812, the Brits tried once more to take back their little Carolinian paradise, but failed. Although the island wasn’t the main cause of the War of 1812, it did result in many of the larger homes near deep water being burned to the ground. Fifty year later, as life was just getting back to normal, the Civil War started. Yankees and Confederates fought bitterly, but in less than a month, the island became a Yankee stronghold in the South. More than 50,000 Union soldiers were stationed here before the end of the war, and the island’s population changed drastically as a result of the Civil War. The Geechee arrived. The first black Union soldiers and the first settlement for free blacks both were on Hilton Head Island. African-American men were forced into the Union army’s service, but they did receive pay. This meant that at the end of the war, many were able to buy land on Hilton Head Island. General Mitchel of the Union army also began the construction housing on the island for the thousands of African-American refugees and former slaves who arrived looking for help. Mitchelville, as this settlement was named, housed nearly 1,500 residents. A gullah woman makes a sweetgrass basket in Charleston’s City Market. Photo courtesy WikiPedia. After the war, the island and its inhabitants were largely forgotten. Life here became a product of nature, native and African cultures, and the seasons on the island. Basket weavers, fishermen, farmers, and fishnet makers lived in relative harmony, and over time, created their own language. Gullah, which blends West and Central African languages with Elizabethan English, became the lingua franca. The Gullah culture is a strong part of Hilton Head Island’s identity today, and the language is commonly spoken on the island. Listen closely, and you’ll hear it. More than an English dialect, this a true Creole language, and one that has its roots firmly in the American fight for independence. Today, Hilton Head Island is synonymous with one of the most popular tournaments in the sport of golf. If you’re a fan of the sport, don’t forget to pack your clubs. Golf became a “thing” here in 1968 when Jack Nicklaus agreed to design the course for the Sea Pines Resort in collaboration with his friend, Pete Dye. The first tournament was held in 1969, with roughly 5,000 people in attendance. Arnold Palmer broke a 14 month winless streak at the tournament, giving it a permanent place on the PGA map. 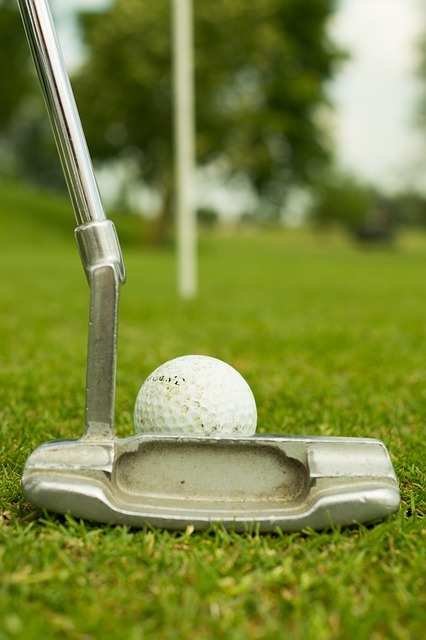 Today, Hilton Head Island’s Heritage Classic Tournament is one of the most important professional golf events, and hosts more than 100,000 visitors yearly. 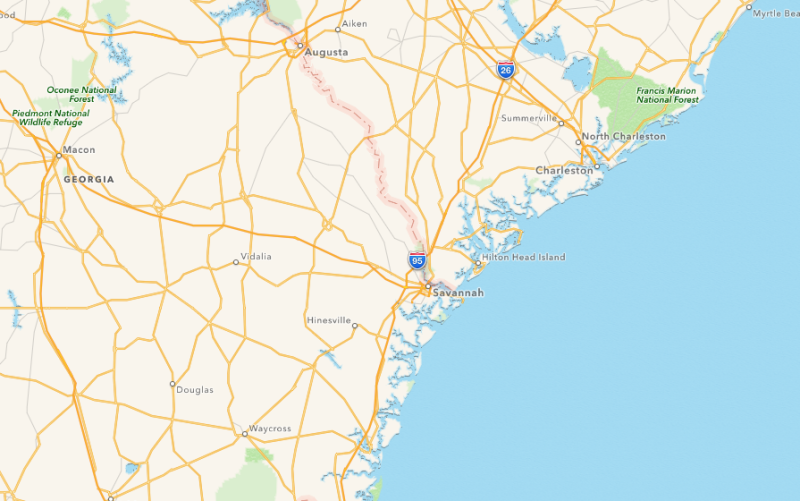 Golf put Hilton Head Island on the proverbial map. Hilton Head Island’s history is a quick recap of colonialism and the fight for freedom from colonial powers in the Americas, with some interesting twists. 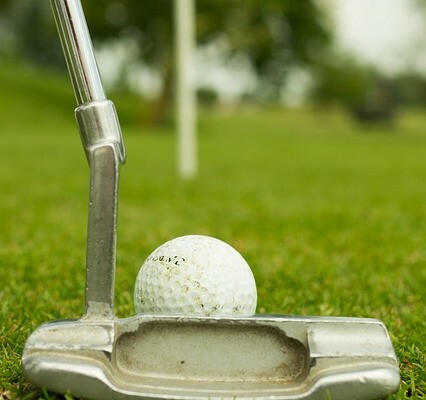 From a British captain who decided to name the place after himself to the large number of freed slaves who made it their home once the Union army took control, this vacation destination saw a lot of action long before the first golf tournament took place here. 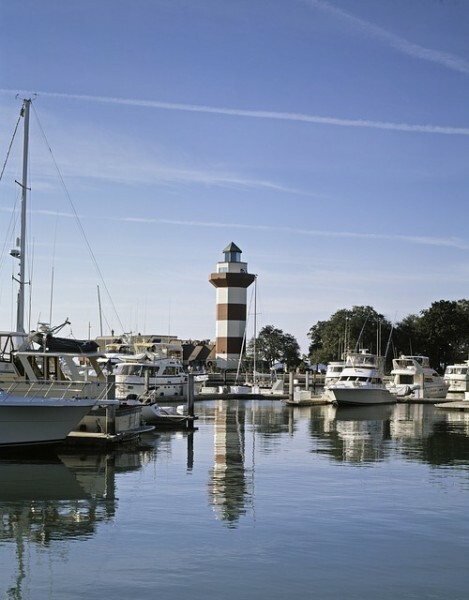 For more information on a trip to Hilton Head, South Carolina visit the official site.